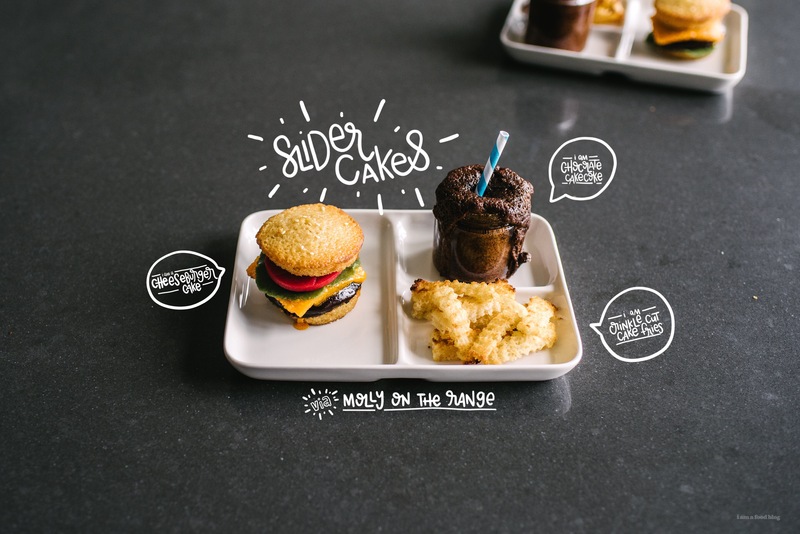 It's Molly Yeh's book birthday and I'm celebrating with mini mini slider cakes! WOOT! The weather has been sunny and gorgeous and it’s giving me all the fall feels. Mike and I bought some decorative gourds (because it’s motherfucking decorative gourd season! Click the link, it’s hilarious >_<) and a fall themed bouquet to fall-ifize the house and it’s really adding to the ambience around here. You know, you gotta have fall things, even if you’re just sitting around, binge watching Netflix while eating cold pizza. In other news, I also baked my first challah! Since I’m a challah baking virgin, I texted someone who’s been around the block and back with challah: Molly, of My Name is Yeh. After some dubiously wet dough (ugh, wet dough) I held my breath, braided, proofed, then sacrificed my loaf to the heat of the oven. Molly said I nailed it, so I think me and challah are going to be new BFFs. You know who else is one of my new BFFs? Molly’s new book, Molly on the Range. 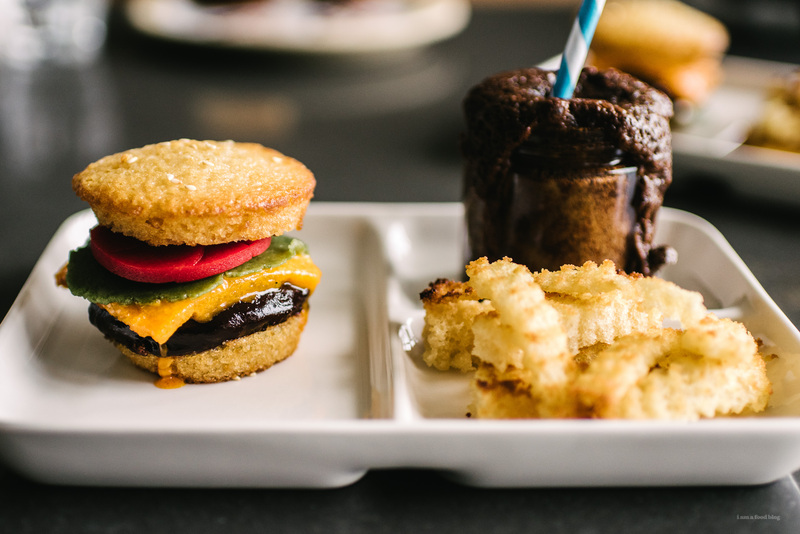 So far, I’ve made: some seriously good fried rice, her cult classic funfetti cake, and these tasty-cute slider cakes! Next up, is her scallion challah, because (c)hallah, I’m on a roll. Like a bread roll, get it?! Seriously though, if you like food, farms, or fun, you need this book in your life. It’s full of well-written quirky cute essays, gorgeous photos, and recipes that I want to make and eat immediately, like these little cakes. I knew that I’d make the slider cakes, because a.) they’re mini and I’m obsessed with mini and b.) well, does there even need to be b? These guys whipped up fast and easy and taste like boxed cake mix, but ten thousand times better. I have a thing for boxed cake mix but hardly ever buy it, just because I feel like I’d lose what little-to-no street cred I have as a baker. But now, I can just whip up this recipe, which is perfect, even if you don’t make them into cute little happy meals. I just about died from the cuteness when I was making and eating these – they brought me so much joy, just like their sweet creator. Molly, hugest congrats for Molly on the Range! To make the cakes: Preheat the oven to 350°F. Grease a half sheet (18 x 13-inch) pan and a quarter sheet (13 x 9-inch) pan and line the bottoms with parchment paper. 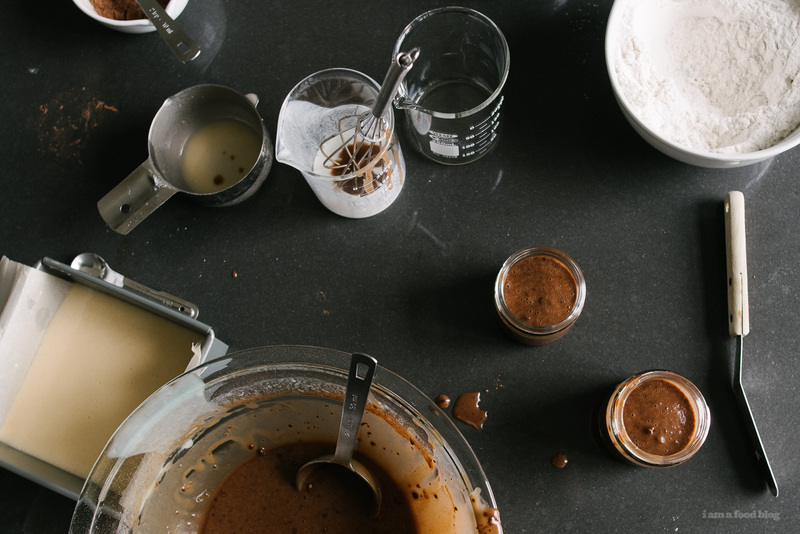 In a large bowl, whisk together the sugar, flour, salt, baking powder, and baking soda. In a medium bowl, whisk together the eggs, buttermilk, vanilla, oil, and water. Add the wet ingredients to the dry ingredients and mix to combine. Transfer 3 1⁄2 cups of the batter to the half sheet pan and spread it out evenly. Sift the cocoa powder into the remaining batter, stir to combine, and then pour it onto the quarter sheet pan and spread it out evenly. Bake the cakes until a toothpick inserted into the center comes out clean, about 15 minutes. 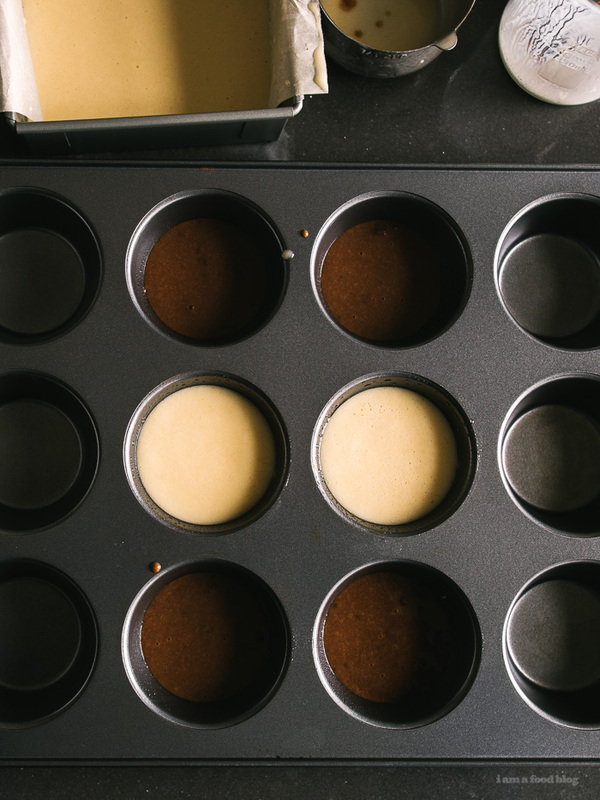 Let the cakes cool in their pans. Using a 2 3⁄4-inch round biscuit cutter, cut out 20 vanilla cake rounds and 10 chocolate cake rounds. (Note: covering the cakes and freezing them for an hour or overnight will make the edges of the circles cleaner, but this step isn’t necessary.) Cake scraps can be reserved for making cake truffles, as snacks, or any other use you’d like. Combine the chocolate chips and coconut oil in a microwaveable bowl and microwave in 30-second increments, stirring after each, until just melted and smooth. 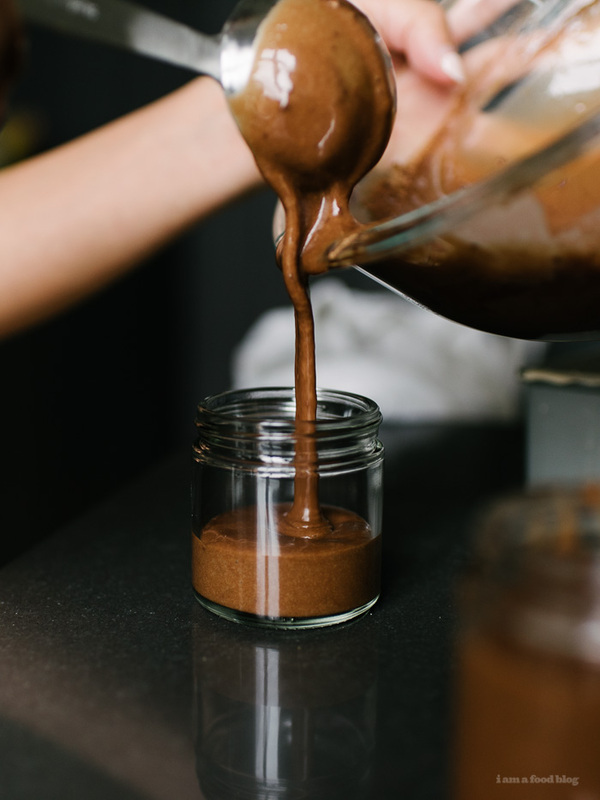 Place the chocolate cake rounds on a wire rack with a baking sheet or plate underneath to catch any excess chocolate and pour the melted chocolate over the cakes to coat the tops and sides. Place them in the refrigerator to allow the chocolate to firm up. To make the fixins: For marzipan “lettuce,” knead 4 ounces of the marzipan with a few drops of green food coloring (if the marzipan gets sticky, dust it with a little powdered sugar). Divide it into 10 equal parts and then flatten it out with a rolling pin or your palm to make flat rustic shapes that are slightly larger than the cakes. For marzipan “tomato slices,” knead the remaining 8 ounces marzipan with a few drops of red food coloring (if the marzipan gets sticky, dust it with a little powdered sugar). Roll it out to a 1⁄8- to 1⁄4-inch thickness and cut out ten 2-inch rounds. To make the “mustard” frosting: In a bowl, mix together the powdered sugar and heavy cream until smooth. Add a few drops of yellow food coloring. Transfer it to a piping bag fitted with a small plain tip or a zip-top bag with a small piece of a corner snipped off. To assemble the cakes, stack them up in this order: a layer of vanilla cake, a squiggle of mustard, a layer of chocolate cake, lettuce, tomato, more mustard, another layer of vanilla cake, and a sprinkle of sesame seeds. Enjoy! I skipped out on baking in trays and just baked in lightly buttered cupcake tins. I used some of the white cake to cut into crinkle cut fries. I lightly toasted them in the oven to give them a bit of color. I also skipped out on the mustard frosting and instead created a cheese layer, by cutting out a small, thin square of white cake and covering it with thinned out orange frosting. 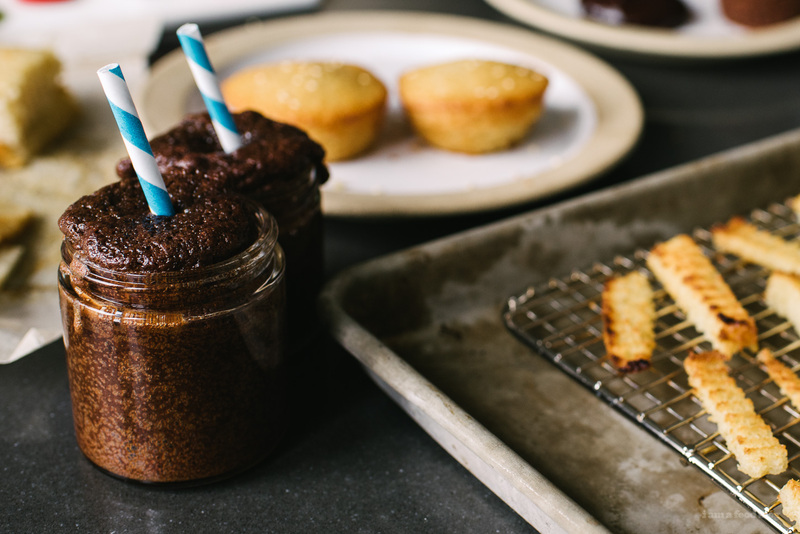 Extra chocolate cake batter was baked into weck jars for a classic coke. this is so freaking cute. SO cute. you nailed that cheese (fist bump emoji) – it even has a tiny ooze! There is so much fun stuff going on here!! LOVE this idea! dang this is a total mind trip steph, so so cute and i bet incredibly delicious. gah, and those cakecoke’s too! that drippy melty “cheese”!! this whole thing is so cute, and an amazing ode to Molly On The Range! I was reading it last night in bed and chuckling away!! 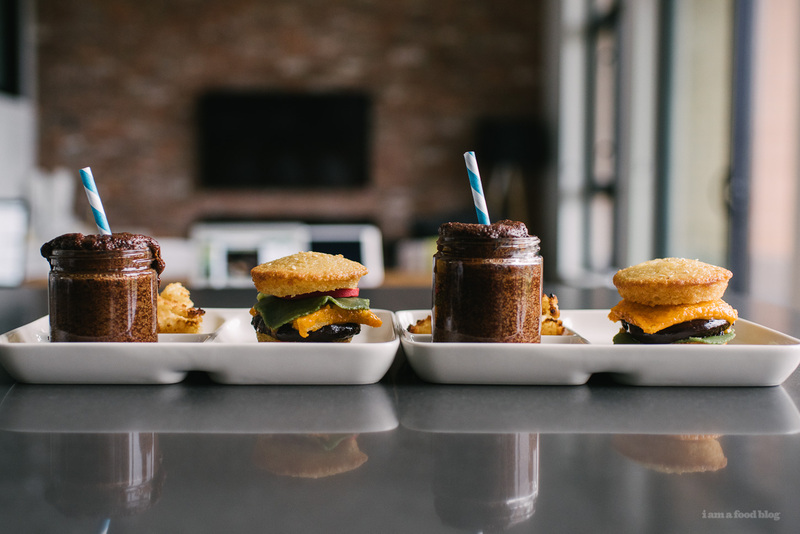 I can’t stop looking at these cute lil burgers and fries! 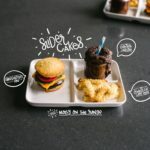 I legit had to read the recipe to know if the fries were real or cake – so good! I was also convinced you put a real slice of cheese on the cake stack haha. Nice job! I’m in love and obsessed with all of this–the spread and Molly’s book. The cake cokes are the cutest and so are the fries and I’m dying of cute overload. Can’t wait to make all the things from MOTR too! !